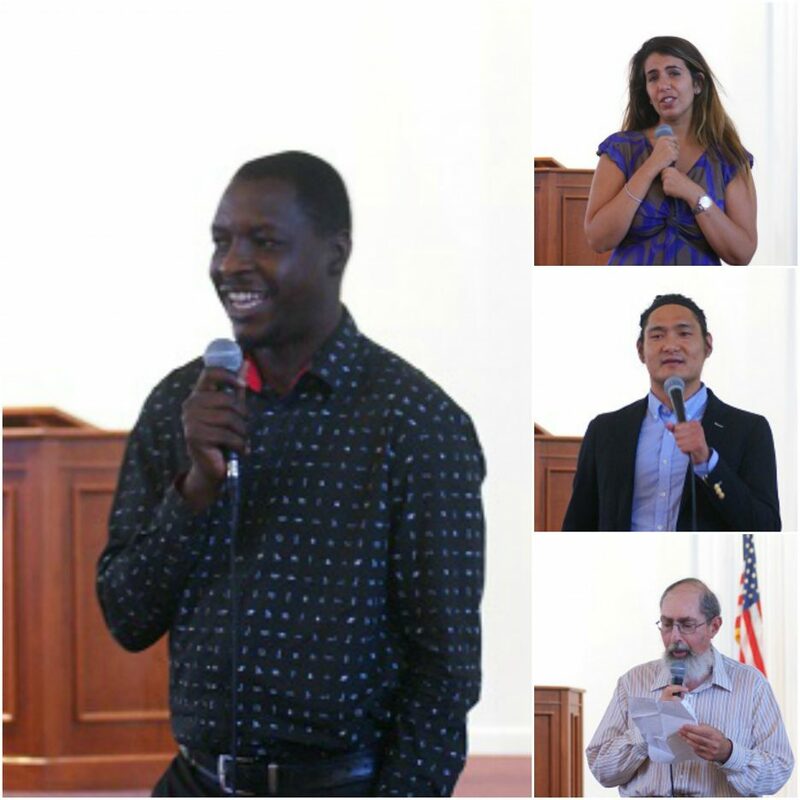 The testimony time after the closing service on August 20th overflowed with abundant grace at the 2017 Northeast Summer retreat. In total, 8 people came up to share their testimony over the three-day retreat, reminding all the attendees the abundant grace they received from the Lord. Brother Christian from the Bronx, New York shared that this summer retreat is like a storm happened in his faith walk that God poured down abundant grace that renewed and strengthened him. Sister Alia from Montreal shared that though it is her first retreat and she was just at the beginning of her christian walk, she received so much love and grace from the messages, and fellowship with brothers and sisters. Richard from Kirkwood wrote a poem to express the touching moments during the retreat time. Randy from Boston and Bonheur from Atlanta all expressed their gratitude towards the retreat organization and serving hands from food to accommodation. The three-day Northeast Summer retreat beginning from Friday ended on Sunday after the group photo and testimony time in Dover, NY. May God bless and guide all His people gathering in these three days that they can remember the ever-lasting grace and strength found in Christ Jesus. Amen!